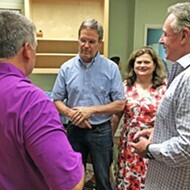 A frequent visitor to Shelby County, the man from Franklin (and possible fallback candidate for Republicans) remains an unknown factor in many ways. 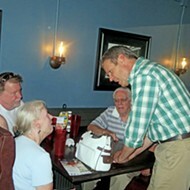 Bill Lee is in many ways the image of a successful political candidate — square-jawed, polished, personally agreeable, possessor of a successful business and one of the great smiles, to boot. The Republican gubernatorial candidate from Williamson County in Middle Tennessee also has a backstory that is both touching and, here and there, inspiring. As he has related countless times in various appearances around the state the past year, and as he spells out in detail in a self-published autobiographical volume he passes out on the stump, This Road I’m On, Lee suffered the loss of his first wife in a tragic equestrian accident some years ago. 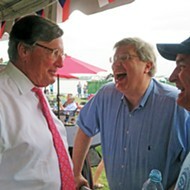 Through reliance on a Christian faith he obviously takes quite seriously, coupled with his immersion in various acts of personal ministration to others, Lee says he has emerged stronger, with a determination to perform public service. 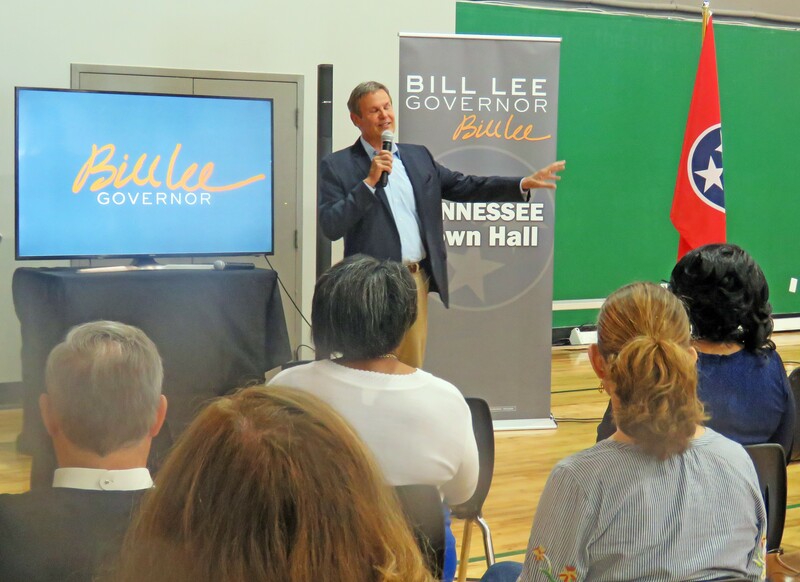 But the question remains: What in particular would Bill Lee do for Memphis and Shelby County — or for other parts of Tennessee, for that matter? 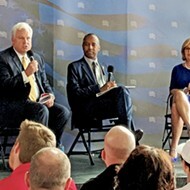 The matter is hardly academic, since various polls indicate that the outlier from Franklin, though lacking the indicators from previous governmental service that his GOP rivals possess, is right up there with the leaders in the pack. 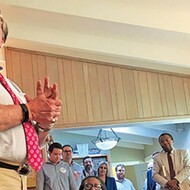 Nor did Lee’s latest local appearance, at a “town hall” in Cordova on Thursday morning, shed much light on his purposes, other than to underscore the importance of his personal faith and his plan to create a new state office focusing on faith-based approaches to governance. 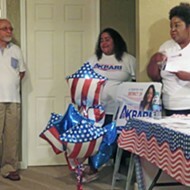 After the audience at the Houston Levee Community Center (in a building gifted by the adjacent Calvary Church of the Nazarene) had seen a brief video provided by the Lee campaign, followed by brief remarks by the candidate, Lee engaged in a Q-and-A session. One exchange was typical. Asked to propose an initiative “” for curtailing gun violence consistent with the Second Amendment’s guarantee of the right to gun ownership," Lee answered: “I believe the ‘initiative’ would be to protect our constitutional rights … to protect them and defend them.” To curtail ownership rights, Lee said, would be to penalize ordinary citizens for the actions of criminals. In the same way, Lee’s assertion that “teachers are not supported in the way they ought to be” and his promise to remedy that omission faded into vagueness when he was asked afterward about his means for doing so. He was emphatic that he was “not an advocate for expanding teachers’ unions” but for creating “an environment in which they [the teachers] can thrive,” along with providing them with pay equivalent to the most generous communities around — the modus for which was not spelled out. Still, it would be disingenuous not to acknowledge Lee’s point of view — conservative, traditional, but turned a bit on the angle-of-vision axis, and decidedly unsentimental. 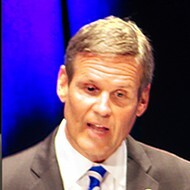 Two weeks ago, during a gubernatorial forum at Nashville’s Lipscomb College, he was the only one of five participating candidates (two Democrats and three Republicans, including himself) to answer in the negative a lightning-round question about whether the proselytizing effect of the Parkland, Florida high school students, post-gun massacre, had been a good thing or a bad thing. 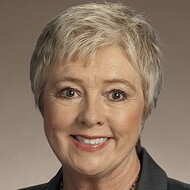 The interesting thing about Lee’s candidacy is that the verbal markers he throws down — which is the best way, perhaps, of describing his views — are every bit as conservative as, say, Diane Black’s, but lack the edge of what she says. It is a fact, too, that, as Lee frequently mentions to audiences, he has mentored at-risk children and done hands-on work in transitioning back to society people just released from prison. He is, in short, still something of an X factor, his point of view dogmatically hardening a bit in the public consciousness but still ambivalent enough to keep alive his potential status as a fallback candidate, at least for Republicans.